In a current era of social media where internet surfing has reached to its peak also the need of good platform which caters all the requirements of the people of all ages has risen. Nowadays, people do not like to waste more time in searching their desire stuff on internet. They just want to get the right information with just one click. This mood of people has forced webmasters to build websites that fullfil their all demands. Shaam TV is one of the perfect examples of the recent outcomes. It has everything that one wants to see or looking for. Shaam TV is not mere a website, it is a platform which provides all kind of stuffs from serious debate on current issues to entertainment like pure comedy shows. Shaam TV is one channel that provides everything of top news channels of Pakistan at a single platform. One can see live streaming of top news channels of Pakistan along with their current issues based talk shows, political analysis, comedy shows and other infotainment and entertainment based programs. Updates about all the latest happening in the politics of Pakistan and outside Pakistan are available on Shaam TV. Shaam TV divides its content into varous category heads to provide its visitors convenient to find any program or video. It covers all stufs for any age of people under following categories. Under these heads Shaam TV provides best of funny, interesting and amazing stuffs from all around the world to best entertain its visiters. 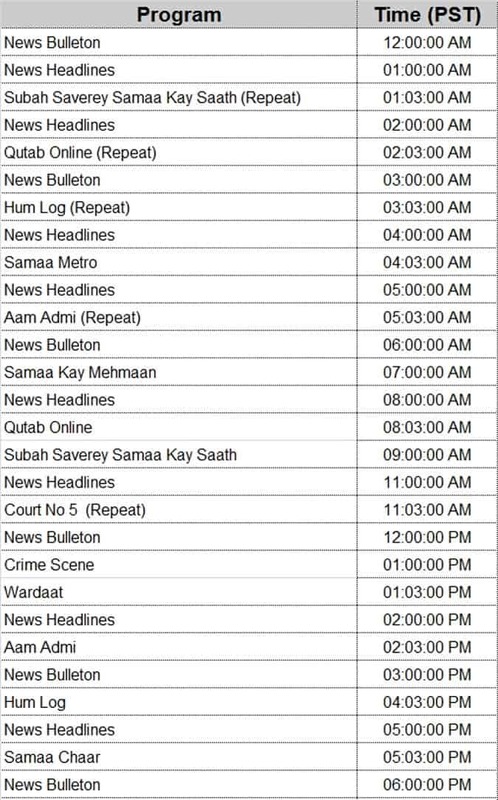 Crime shows are the part of daily transmission of every news channel working in Pakistan. By these shows all the vices and criminality prevail in our society beigh exposed. Some popular crime shows are Sar e Aam on ARY News, Awam Ki Awaz and Khufia Operation on Samaa TV, Khufia on Abb Takk News channel. Apart from above list of programs some programs of other news channels like AAJ TV, BOL News, Din News and Capital TV based on current issues are also available on Shaam TV. To entertain their viewers many channels launched game shows in which they distribute heavy prizes on answering easy questions or doing some thing different. Jeeto Pakistan of ARY Digital is one of the most popular game show hosted by famous TV/Film actor Fahad Mustafa while Geo News was also launched its game show with name of Inam Ghar but latter they closed the show after not receiving right feedback for its viewers. Qutab Online: very spititual show onairs on Samaa TV and its host is Syed Bilal Qutab who is familiar Islamic Scholars. Peyam-e-Subh: This show is based on thoughtful explanation of the versus of the Holy Quran. Dunya TV telecasts this program with host Aneeq Ahmed and it is also available on Shaam TV. Shaam TV is fully updated with all the daily happening in the politics of Pakistan and around Pakistan, international affairs and media talks of political and non political celebrities. It covers all the breaking news as it appears on the screen of top news channels of Pakistan. News about showbiz stars, upcoming movies, sporting events and other sports updates are also included. Hasb-e-Haal: This show telecasts on Dunya News with host Junaid Saleed and Comedian Sohail Ahmed in leading role along with Amanat Chan and Nawaz Anjum. Khabardar: It is top rated comedy show telecasts on Express News with host Aftab Iqbal and Honey Albela, Babbu Rana and Nasir Chinioti among comedians. The main purpose of the show is to highlight all the social and political issues. It is available on Shaam TV. Khabarnaak: It is a political satire telecasts on Geo News with host Ayesha Jahanzeb and Saleem Albela, Agha Majid among its comedians; Mohammad Ali Mir is the main character of the show who appears as a dummy of famous celebrity in every show. Khabarnaak is also available on Shaam TV. Sawal Teen on Neo News, Darling and Siyasi Theater on Express News and Samaa Chaar on Samaa TV are other comedy show available on Shaam TV. Pakistan is well known in various sports like, cricket, hockey, boxing, squash, tennis and kabaddi. So, to covers sports many channels have launched their regular sports program like Score on Geo News and Cricket Dewangi on Dunya News. Shaam TV provides news about latest inventions, outcome of latest technology, and more about modren lifestyles under the head of Technology. Interviews and speeches of famous personalities, governmental heads, party leaders and sports personnel can also be found on Shaam TV daily inline programs. Shaam TV provides live streaming of many top rated news and sports channels including ptv sports, Geo News live, Express News live, ARY News live, Samaa TV live, 92 News live, Dunya News live and others. Special streaming of any special event is also run on Shaam TV. Shaam TV broadcasted T20 World Cup in India, Pakistan tour of England, New Zealand and Australia live for his viewers. Recently ended Pakistan Super League 2nd edition was also live broadcasted on Shaam TV.